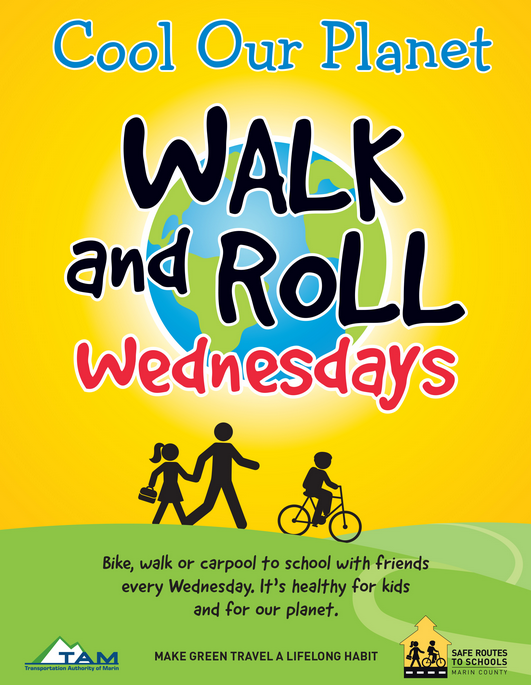 Choose a green way to get to school on Wednesday, November 14 and grab a snack and some Safe Routes schwag before class! Here are a few additional tips to make riding bikes fun and safe! Parents should always wear a helmet too & obey traffic laws. Always have your children ride in front of you so you can yell at encourage and direct them. If you see unsafe activity by other parents or drivers, don’t confront them. Report this to the Police or Donna Faulkner, depending on how urgent of a situation this is. Have fun! You’re doing some thing truly special and memorable for your child.